My three year old son has been begging to cook a lot recently. 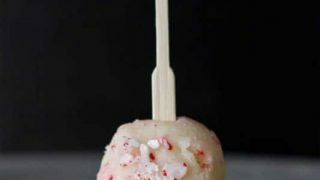 I’m going to share a bunch of his meals soon… but we HAD to share this delicious, fun recipe for No Bake Candy Cane Sugar Cookie Bites asap! 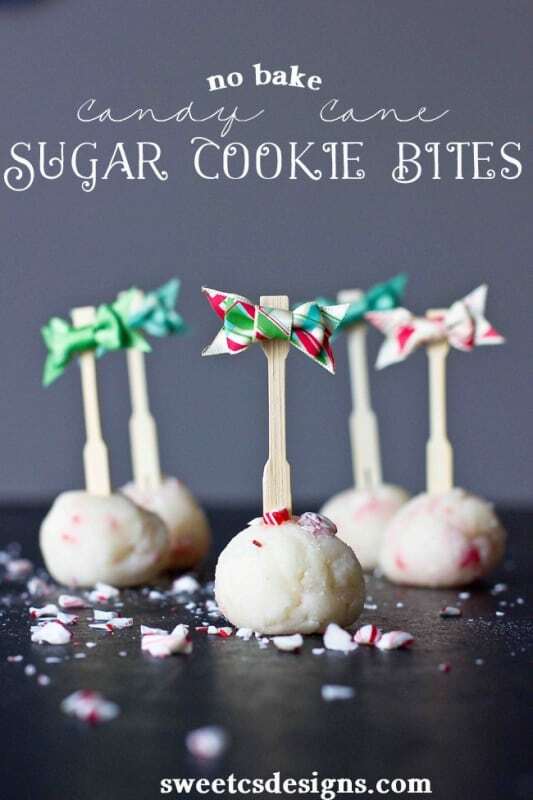 These no bake candy cane sugar cookies bites are so quick and easy to make, and kids can jump right in! We’re not using eggs, so they can safely help prepare the food and even eat some of the dough. 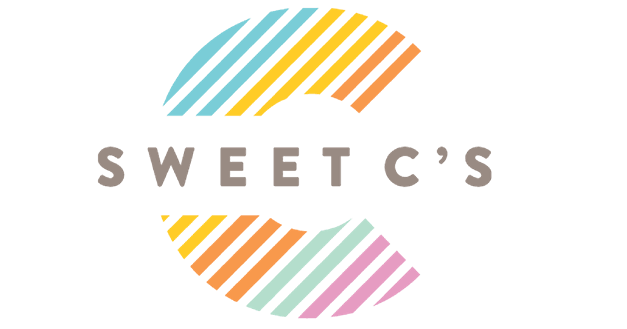 Outside of being a fun activity for kids, these sugar cookie bites are really delicious, easy to serve and eat at parties- and take almost no time to throw together. I do recommend chilling them in the fridge for 30 minutes-overnight to set up and taste better- but if you’re in a rush, you could pop them in the freezer to get a quick chill. Just be sure to cover them with plastic wrap if you’re not eating within a few hours so they don’t dry out on the outside. As for our cookie-making session, I let Finn do most of the work- I did roll the balls (toddler rolling skills aren’t always the most photogenic), but he then rolled them in extra crushed candy canes. And I let him to all the crushing- I just gave him a rolling pin and had him hit them in the little plastic bags they come in. Since he’s young, he can’t lift it too high and we talked about being very careful and more “smooshing” the candy canes. If you don’t have all the ingredients on hand, but DO have a batch of sugar cookie mix (gluten free mix works, too!!! ), I added in a substitution in the recipe. How much easier can you get than that?? 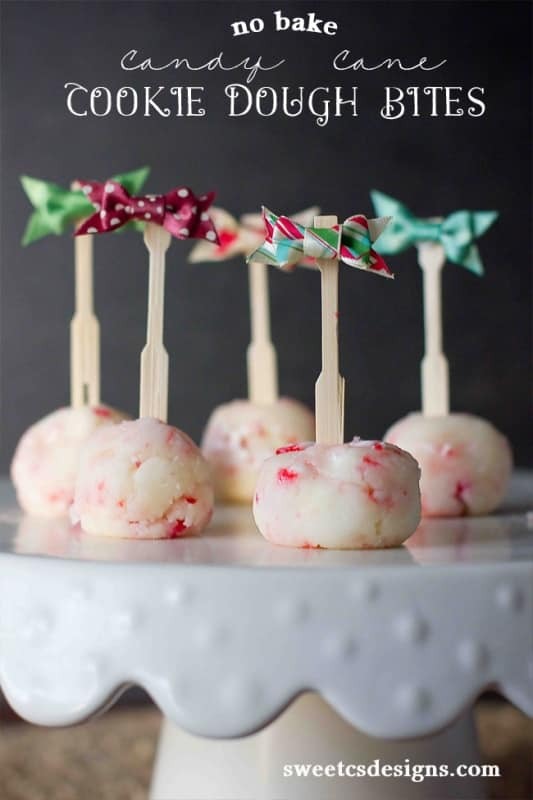 Roll those cookies in crushed candy canes for some more delicious, festive fun! I added little Christmas bows from American Crafts that I found in the scrapbooking section at Target. I love how they look for a party- so adorable! Just stick onto the toothpick for a fun little presentation. I won’t lie- I even took them off after eating so I could re-use these cute bows because they are so cute! 1 teaspoon vanilla extract, quality is key here- get the good stuff!! 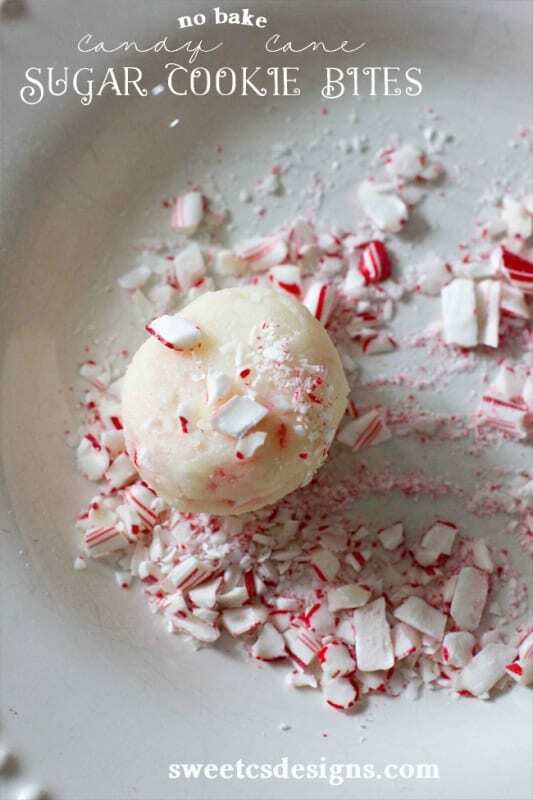 Stir in flour, vanilla and crushed peppermint candies. Previous Post: « Win a Canon T3 DSLR Camera and a 18-55mm Lens! I definitely am going to make these. I think that I would dip the bottom half in melted chocolate. Because I love mint and chocolate together. 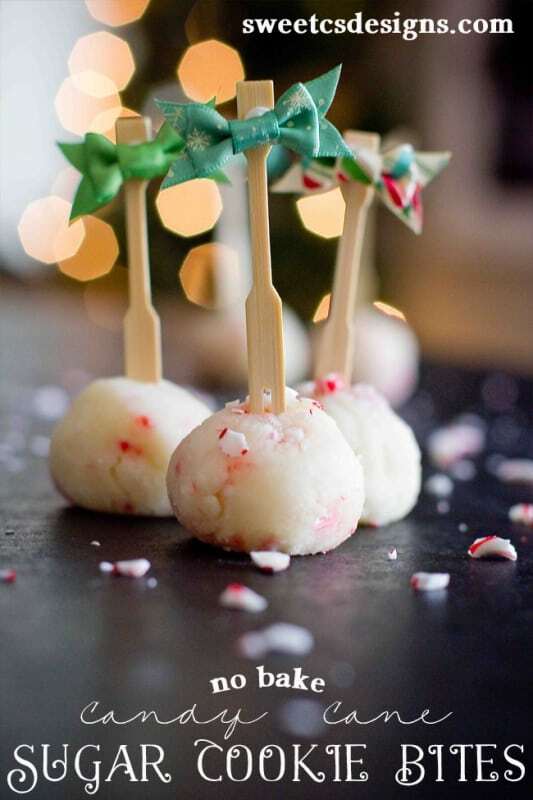 I just made these, dipped them in melted semi-sweet chocolate after they had firmed up in the fridge and added a mini candy cane as the “handle”. I’m taking these to my construction guys who are worked on my new house. Think they’ll be excited about the little treat! So cute and festive! What a fun treat for everyone. Oh my word these look heavenly. I’ve pinned them and will be picking up the ingredients I don’t already have the next time I go to the store. YUM! Approximately how many does this recipe roll out? 🙂 Want to use for my work cookie exchange, they sound scrumptious! It depends on how big you make them- but I got about 12. Those looke delish! So cute too! Can you tell me where you found those cute little bows ? Molly- they are American Crafts bows from Target! You could probably find them at Walmart or any craft store too! I got them in the scrapbook section. and then cover them in dark chocolate almond bark. These are awesome! So pretty and festive!! 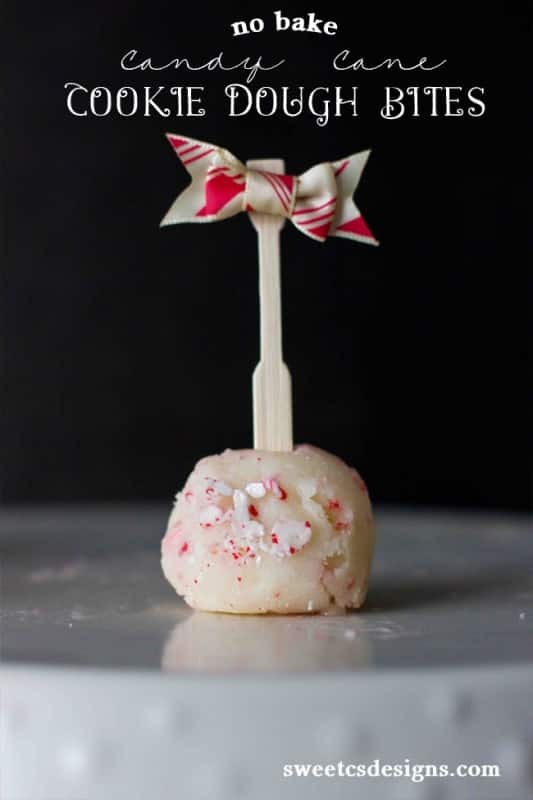 Dumb question: So once you mix the ingredients, you just roll out little balls of dough, and then roll them in the crushed candy canes? Not a dumb question- I should clarify my directions! Yes, you’ll roll the balls and you can then roll them in crushed candy canes. I like them with the extra sugar and crunch- but that part is optional! Those are amazing looking! 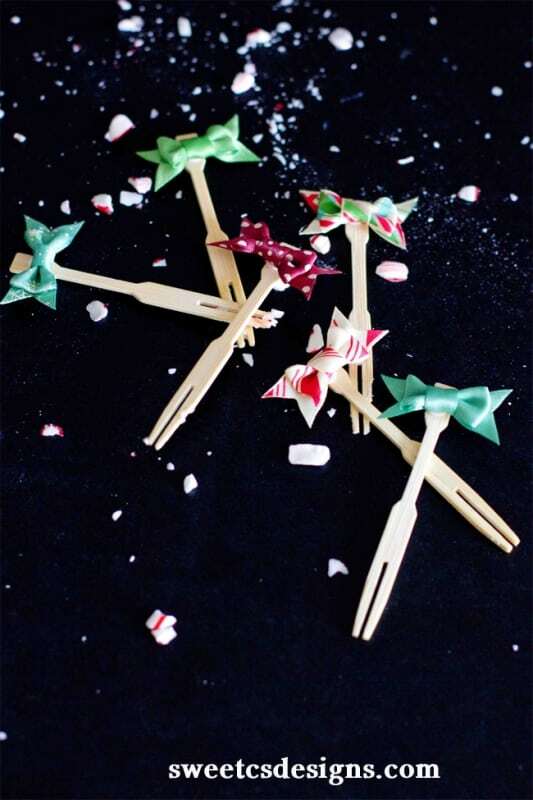 And those little toothpicks with the ribbons are so cute!!! Where did you find the toothpicks??? I have some like these from Dollar-Tree. Not sure how many are in the pack. Good luck – they certainly do look adorable in these cookies! OH my… these look divine. I think I know what I’m making tonight when I get home! And I love the styling!